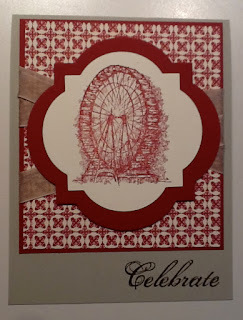 Thank you so much for joining us on our very first Kaleidoscope Stampers Blog Hop! We are very excited to share what we have been working on with you. 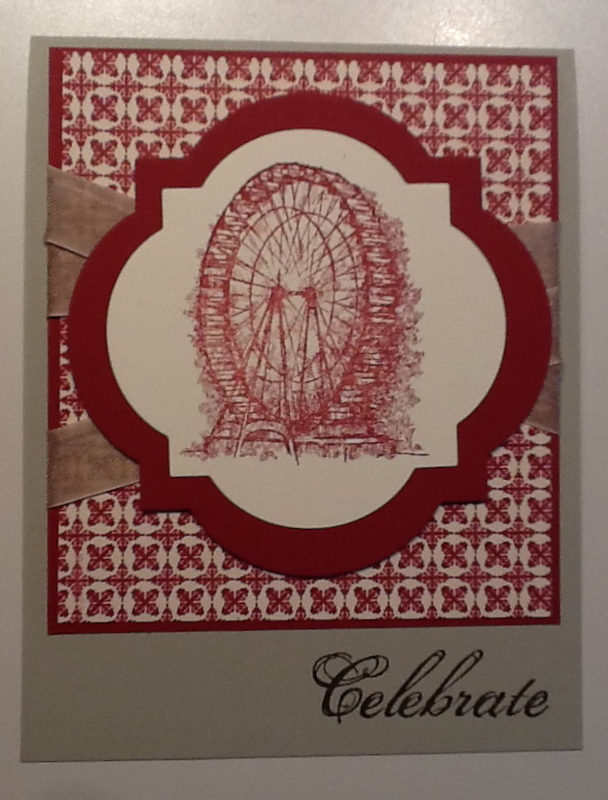 I am SO excited about the brand new Sale-A-Bration stamp set Feeling Sentimental. It has me all sentimental about when I studied abroad in the UK during college. Ah, good times. Anyway here are just a couple of cards that I made with the set. 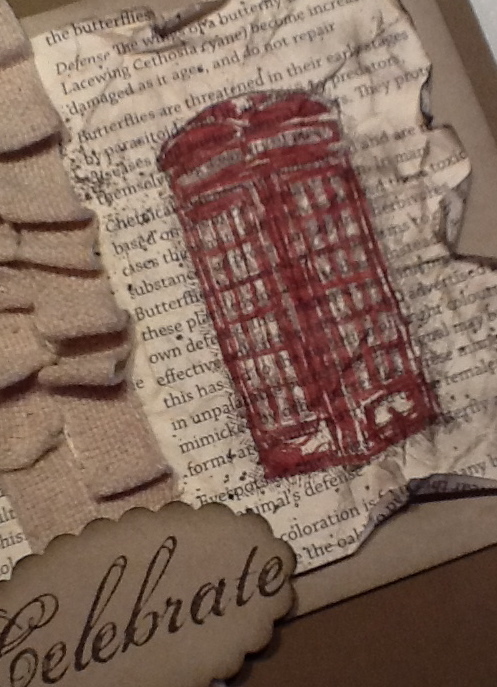 The first one I tried to grunge up the designer series paper by crumpling it, sponging it, and spritzing it. I then stamped the phone booth over top in Saraha Sand ink and colored in the negative a Cherry Cobble Stampin' Write marker. Lastly, I added some of our great Natural 7/16 Trim Ribbon to set it off. I love the burlap look right now so this ribbon is right up my alley. I won't tell you how many rolls I've ordered already since the Spring Mini Catalog came out. The second card I made was a quick & easy one. Using the Window Frames Framelits just made this card fit together like a glove. I also used the designers series paper Parkers Patterns to give it a bit of flair wrapped in seam binding. 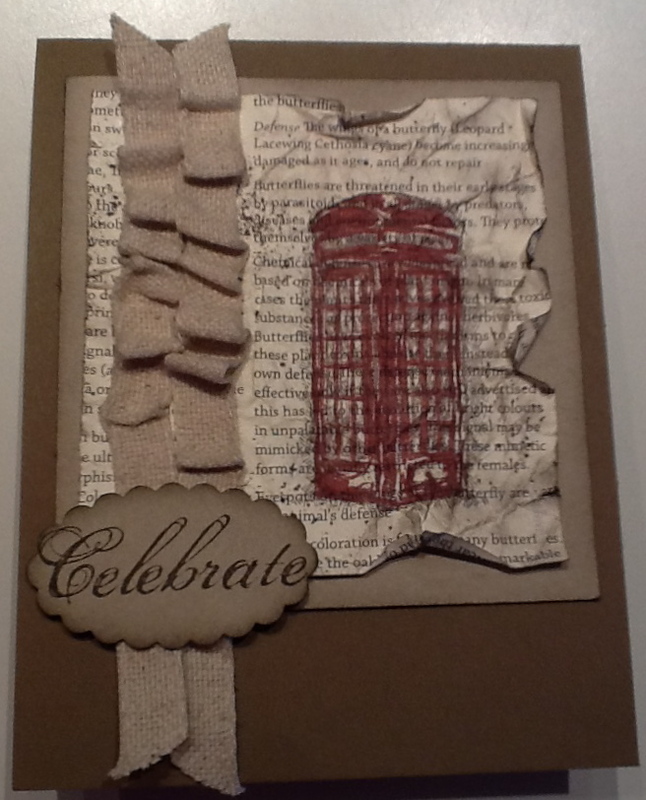 Still LOVIN the Feeling Sentimental stamp set? If you are in the US please contact me so you to can earn it for FREE! Make sure to check out the rest of the blogs in the hop too!